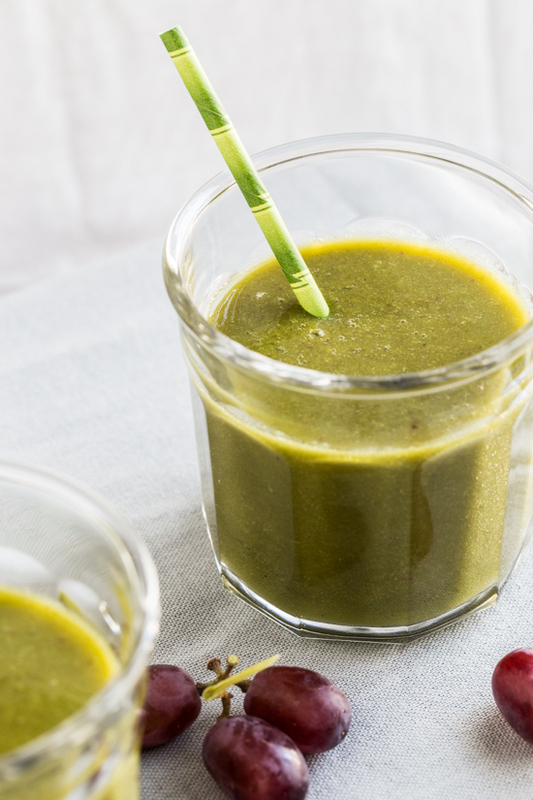 Light and refreshing, this Grape Mango Kale Smoothie is perfect for a Saturday morning pick me up. With summer right around the corner, our house has bee a whirlwind of end of the school year activities. Field trips, class picnics and family celebrations have been filling our days and nights. It’s an incredibly exciting time, yet I am really yearning for the lazy days of summer to come. Summer brings fabulous fruit and an abundance of vegetables. Yesterday, I shared a fresh summer strawberry shrub cooler which is a wonderfully refreshing drink for any warm weather gathering and for this week’s Smoothie Saturday, I’ve got a new green smoothie full of grapes, mango, watermelon and kale. The grapes give this smoothie a sweet base, while the mango adds a tropical twist. 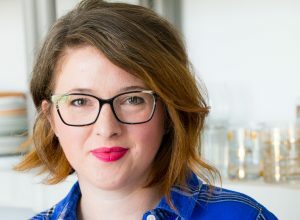 I’ve waxed poetic about my feelings about kale in the past and while I know kale has a feeling of being a trendy ingredient, it’s more than that. Kale is indeed a super food. I admit that it would be even more super if it tasted like a giant ice cream sundae covered in chocolate sauce, whipped cream and sprinkles, but it’s the next best thing. It’s unbelievably healthy, extremely versatile and when prepared properly, incredibly delicious. Place all ingredients in a blender (I used my Blendtec) and blend until smooth. I know just how you feel, the idea seemed odd to me at first too. But grapes are sweet and juicy really add some fabulous flavor, not to mention nutrition, to the smoothies! I hope you enjoy and thanks so much for stopping by! This sounds AMAZING! 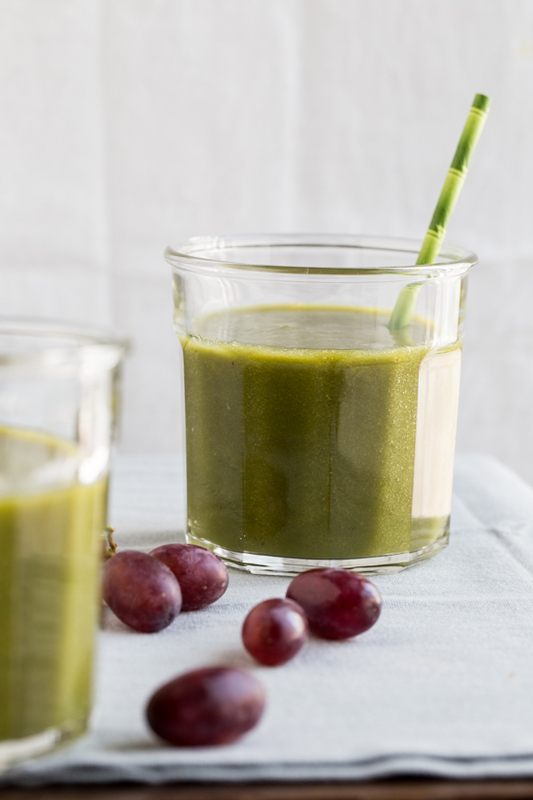 Oddly, I never think of grapes as a smoothie ingredient but now I do! I bet if you froze the grapes first, it would be loovveelllyyy.